Travis d’Arnaud is doing exactly what the Mets hoped he would do when they optioned. He’s crushing the ball in Triple-A. Now the ball flies out of Vegas and the entire Pacific Coast League but it very encouraging that the 25-year old catcher is driving the ball for extra bases right now. The catcher is hitting .458 with six homers and 15 RBI’s in 12 games since being sent down. He was hitting .180 with three HR and nine RBI in 39 games with the Mets. “It was all mental,” d’Arnaud said of his struggles in New York to the Las Vegas Review Journal. “I kind of went away from that (in the majors),” d’Arnaud concluded. I would rather d’Arnaud say it was mental than say he doesn’t know why he wasn’t hitting in the major leagues. Believe it or not Met catchers have actually been even worse since d’Arnaud went down. Met catchers are batting just .177 with 1 HR since d’Arnaud got sent down on June 6th. Mets catchers this season are hitting .193 (52-270 AB) only the Dodgers (.191) are worse in baseball. I still think he is going to be a very good catcher and the Mets could really use some production in what has been a very bad offense. D’Arnaud is expected to return for the two game set at Citi Field vs. the Athletics Tuesday and Wednesday. 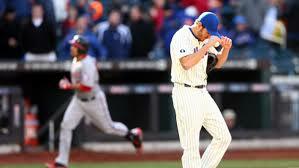 It is no secret that the Mets bullpen has been terrible for the first 35 plus games this season. The plan going into the season was Bobby Parnell would pitch the ninth and Vic Black would pitch the 8th. The two have made a combined one appearance for the Mets this season and the team has not found anyone else who can close out games effectively. Vic Black, 25, had a rough spring training and start to his season in Las Vegas but has seemingly righted the ship. The right-hander has a 0.68 ERA in 13.1 innings in Triple-A, although he has worked 10. Black might be the Mets best reliever right now and deserves a call up. The Mets could make room in the bullpen by designating a reliever like Jose Valverde for assignment. The Mets have gotten zero production from the shortstop position. Both Omar Quintanilla and Ruben Tejada have both badly struggled offensively. Mets shortstops have a hard to believe .194 average with a .303 OBP, zero homers and an OPS of .526. That wouldn’t be that bad if they were pitchers, which they are not. It looks like a change can finally be coming though with Quintanilla being designated for assignment Wednesday. No call up has been announced but it is widely expected to be infielder Wilmer Flores. The Mets want Flores to play every day so if he really is the call up it would be to play shortstop every day. 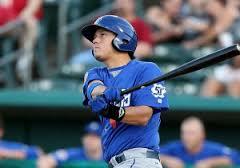 Flores was still playing in the Las Vegas 51’s game when the news about Quintanilla broke. The 22-year-old is 1-for-3 on the night with 2 RBI after he hit a double to left. Flores has hit .296 in 28 games in Las Vegas with 25 RBI, five doubles and five home runs. He has been very hot of late. He has also had seven errors in 24 appearances in the field, a majority of them at shortstop. Ruben Tejada was seen visibly frustrated after Wednesday’s matinee against the Marlins so it seems likely that he is about to lose playing time. Flores isn’t a shortstop but it makes more sense to try him there then to expect Tejada or Quintanilla would magically get better and start hitting. The definition of insanity is trying the same thing over and over again and expecting different results. That what the Mets were hoping for when they patrolled the same duo at short that badly struggled all of last year. Flores at least has the potential to hit and it wasn’t like Tejada or Quintanilla was lighting it up defensively either. Of course we wouldn’t be having this discussion if the Mets just did the logical thing and signed Stephen Drew months ago as a free agent. Drew is still a free agent and is now expected to wait until after the draft to sign with a team so he won’t be tied to a draft pick. Do you want to see Wilmer Flores everyday at shortstop? 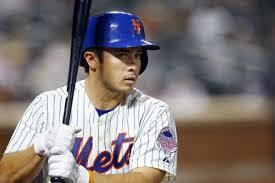 The Mets are calling up Daisuke Matsusaka from Triple-A Las Vegas. To make room for Dice-K the Mets have out righted John Lannan off of the 40-man roster. Lannan can now elect free agency or go to Triple-A. Lannan was awful for the Mets bullpen, a position he wasn’t all that familiar with as a starter throughout his major league career. The Mets were hoping he could help get lefties out but it just didn’t happen that way. 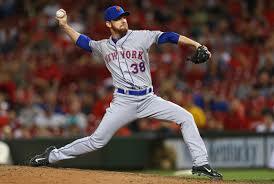 Lannan was 1-0 with a 15.75 ERA in five appearances with the Mets. Dice-K is coming up as insurance for both Bartolo Colon and Jenrry Mejia. Mejia is dealing with another blister issue and Colon has been dealing with a back problem. Both are expected to make their next starts but Dice-K is just insurance of they cannot. If both do make their starts than Matsusaka can just be the long reliever in the bullpen. 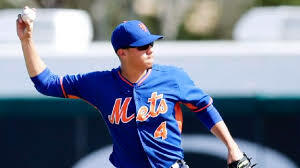 The New York Mets sent down four players to Triple-A Las Vegas today including INF Wilmer Flores. Flores had a very strong spring with the bat and looked decent enough at shortstop. That being said, the Mets felt like he needed more reps at short since he hasn’t played there in a while before this spring. Ruben Tejada has looked very shaky offensively and defensively this spring. Tejada badly needed a good spring and it just didn’t happen. The team looked into trade and free agent possibilities and didn’t like what they saw outside the organization. So they gave Flores a few looks at shortstop and were surprised that he looked okay in the field. All of the pressure is on Ruben Tejada. If he gets off to a 4-40 start in his first 10 or 11 games and Flores is raking in Triple-A, perhaps a switch is made very early in the season. Don’t let the team fool you, they clearly don’t have much confidence in Tejada. It will also depend on how Mets people feel Flores looks at short in the minors once the season starts. It is just very disappointing that the Mets #1 need this offseason was a shortstop, and now one week before Opening Day that question continues to loom over this team. Who should be the Mets shortstop? Terry Collins acknowledged that SS Ruben Tejada will be recalled during September call ups and will get a bulk of the playing time. 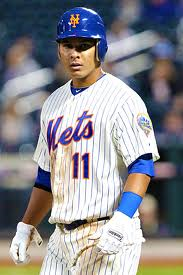 Tejada who really hasn’t hit all that much to deserve a call up, recently has been getting hot. He’s now hitting .385/.444/.590 in his last 10 games which moves his Triple A line to .295/.347/.379 in 57 games with Las Vegas. Tejada is a big league player but at this point it has become clear that he is not one Terry Collins favorites and they will likely need to address the shortstop position this winter. Tejada has hit just .209 in 209 plate appearances for the Mets in 2013. The Mets drafted Gavin Cecchini in the first round in 2012 but he is playing in short season, Brooklyn and is at least three years away. Tejada will get a long look in the final month to see what he is. I think when all is said and done, Tejada becomes a nice utility man who can play both middle infield positions kind of like a Maicer Izturis, Ramon Santiago type. The question is does he become that type of player here in Queens. I wrote about a month ago that it was time to bring Tejada back up. You can check out that article here. The questions about Tejada have always been about his bat. Tejada has one homer all year and that came in Thursday’s Las Vegas game. That being said he really struggled defensively in April and cost the Mets at least a game or two. Tejada will be one of many players competing for a 2014 job in September. 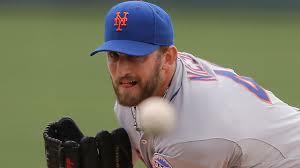 The Mets have activated LHP Jon Niese from the disabled list. 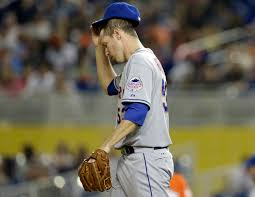 To make room for Niese the Mets have optioned Jeremy Hefner to Las Vegas. Hefner had been 0-2 with an ERA over 9 in five starts since the All- Star Break. This allows the Mets to stay in the five man rotation which didn’t seem to be what the Mets wanted to do a few days ago. Hefner has been dealing with pain in his right elbow so he will fly to New York and get an MRI. If there is anything structurally wrong, Hefner will go on the DL, if not he will go to Triple A until rosters expand in September. Hefner was great for a while but really regressed over the past few weeks. Hefner says he has been dealing with this elbow injury since Spring Training so I don’t think it has affected him that much unless it has gotten progressively worse since then. Sandy Alderson would have liked to keep the 6 man rotation but there aren’t any logical candidates to be called up since Rafael Montero and Jacob deGrom are also on innings limits. This is a big stretch for Niese. The Mets need him to prove that he is a top to mid rotation starter. Niese was very inconsistent before getting hurt a few months ago. Remember Niese actually was the Mets opening day starter this year. That seems like an eternity ago.